Jean-Bertrand Aristide said: I am ready to leave today, tomorrow, at any time . He said that in light of the suffering of the Haitian people after the 2010 earthquake, his place is in Haiti to Help. 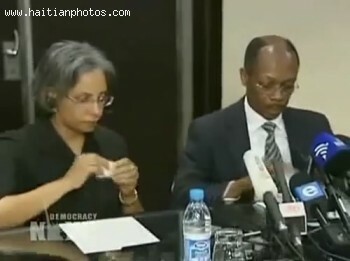 Here is a picture of Jean-Bertrand Aristide and wife Mildred Aristide after their press conference. They were both denied Passport request to return to Haiti. On January 19, 2010, three days after the surprise return of Jean-Claude Duvalier in Haiti, Aristide wants the same treatment. 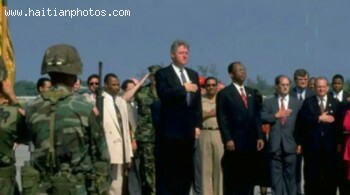 Here is a picture of the American President Bill Clinton and Jean-Bertrand Aristide as he was returning from exile in South Africa. The Haitian president was exiled twice and was able to return back to his country twice. Here is a picture of the US force that accompanied Jean-Bertrand Aristide in Haiti after his first exile to the United States. He is accused for allowing Foreign troops to come to haiti. In the past, Jean-Bertrand was very vocal against foreign countries into Haiti. 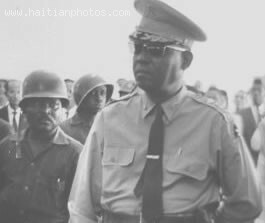 During the Duvalier period, one important figure was General Jacques Gracia. 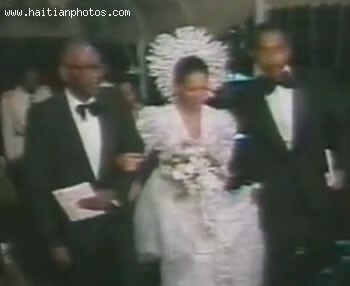 The period of the Duvalier in Haiti is filled with history. Here is the picture of General Jacques Gracia during this historical period. 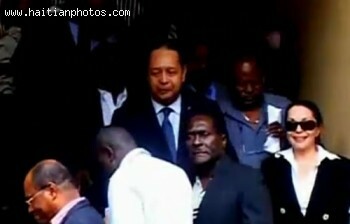 Here is a picture taken of Haitian Prime Minister Jean-Max Bellerive on the return of Jean-Claude duvalier in haiti. Bellrive who represents the Haitian government did not say much about the return. Foreign government reaction to the return of Jean-Claude was that of a surprise. 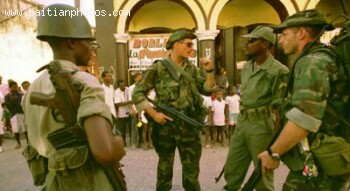 The French government that was supposed to be aware of the return stated that they were unaware of the return until Jean-Claude landed in Haiti. They denied any allegation of complicity on their part. Here is a picture of Councilman of North Miami, District 3, Jean R. Marcellus. 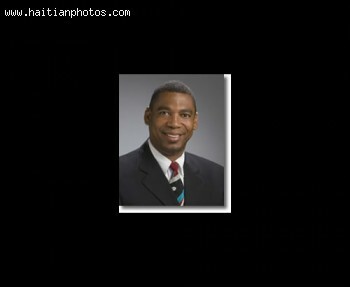 The Haitian-born Councilman of North Miami, Jean R. Marcellus, at one point was involved in a scandal when he received a free Haiti trip from Mayor Andre Pierre's nephew, Ricardo Brutus. 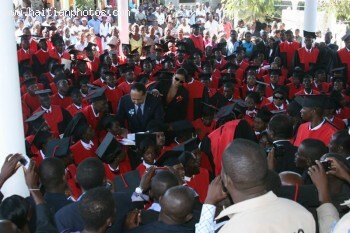 Here is a picture of former Haitian leader Jean Claude Duvalier in a crowd of Law students in Gonaives as they were in the process of receiving their diploma. He was invited by the faculty leader to be part of the graduating class in December, 2011. Here is a picture of Jean-Claude Duvalier as he was taken by Haitian officials for interrogation.